UPDATE: POLICE have arrested a young boy who admitted to inserting needles into strawberries as part of an apparent prank. 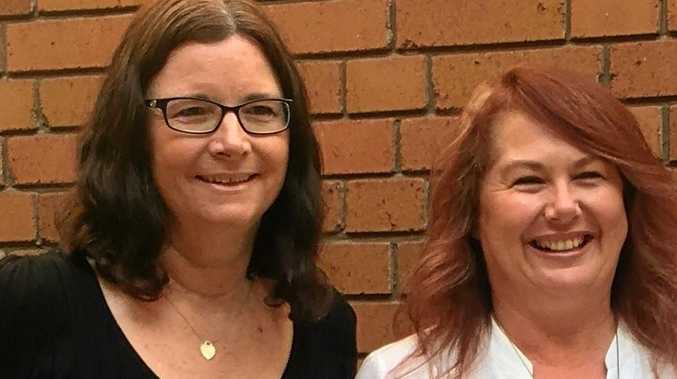 New South Wales Acting Assistant Police Commissioner Stuart Smith would not release further details but said the child had been caught in recent days. The behaviour could be "called a prank", he said, but warned that any copycat cases would be dealt with harshly. It comes as a primary school student in Newcastle today discovered a needle inside a banana that was packed in their lunch box. The child, a pupil at St Paul's Primary School, discovered the fruit was contaminated before biting into it and alerted teachers. Tasmania Police are investigating two more claims of contaminated fruit being sold in Woolworths stores in the Hobart area. The force received a report of a metal object found in a strawberry at Kingston about 6pm yesterday. The 250g punnet of Pinata brand strawberries had been bought from the Kingston Town Woolworths on Sunday. EARLIER: A PRIMARY school pupil has discovered a needle inside a banana which was packed in their lunch box. The child, who is a pupil at St Paul's Primary School in Newcastle, fortunately, discovered the fruit was contaminated before biting into it. "This morning, there was an incident with a pupil finding a needle inside a banana," a spokesman from the Diocese of Maitland Newcastle told news.com.au. "The school alerted local police straight away. The police came to the school and spoke to the student. They took the banana and needle away with them and they are on their way to speak to the student's parents." It comes as Scott Morrison lashed out at the "grubs" responsible for the country's strawberry contamination crisis, announcing four new penalties and a steep increase in jail time. File picture: Suncoast Harvest at Bells Creek will pull out of growing the fruit for the rest of the year. EARLIER: 'COWARDS' who stick sewing needles into strawberries could face up to 15 years jail under tough updates to food contamination laws Prime Minister Scott Morrison will urgently push through parliament this week. And "idiots" who post Facebook hoaxes about fake contamination cases could face up to 10 years in jail under new measures to deal with "reckless" behaviour. 'Sabotage' laws will also be updated to include the sabotage of "goods for human consumption" where it impacts national security. It comes as the strawberry contamination scare continues to worsen, with more than 25 cases being investigated across the country including suspected copy cat cases. In a joint press conference at Parliament today, the Prime Minister and Attorney-General announced they would urgently seek to beef up penalties. Anyone threatening to contaminate food, with a hoax video for example, would also face the higher maximum penalty. The government will also seek to lower the threshold for convicting offenders, from having to prove intent to simply proving 'reckless behaviour', so copycat perpetrators can be prosecuted. 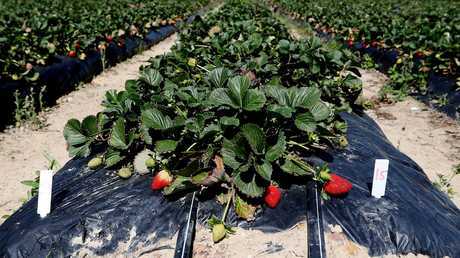 Prime Minister Morrison requested that the laws be reviewed last night as the strawberry contamination scare worsened. Mr Porter said the level of criminality occuring at the moment was "unprecedented in Australia". "Any idiot who thinks they can go out into a shopping centre and start sticking pins in fruit and thinks this is some sort of lark or put something on Facebook which is a hoax, that sort of behaviour is reckless and under the provision we will be seeking to introduce swiftly, that type of behaviour would carry a penalty of up to 10 years in prison," Prime Minister Morrison said today. "It's not a joke. It's not funny. You are putting the livelihoods of hard-working Australians at risk and you are scaring children," he said. "You are a coward and a grub. And if you do that sort of thing in this country we will come after you and we will throw the book at you." Attorney-General Christian Porter will introduce the new measures to Parliament tomorrow morning. 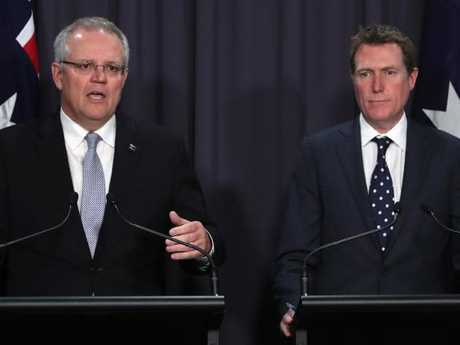 Mr Morrison said he would be seeking support from Labor and crossbenchers to pass the laws before Parliament rises tomorrow afternoon for a two-week break. This morning, former Deputy Prime Minister Barnaby Joyce called for a substantial reward to hunt down those behind the strawberry needle contamination crisis. The high profile Nationals MP says the criminals responsible must be "pursued and hunted down", arguing anyone withholding information is also committing a crime by not reporting it. "The reward... has to be substantially increased to hunt this person down," Mr Joyce told the Nine Network on Wednesday. "It is not only a threat to the strawberry industry, it is a threat across the food production industry. We have got to treat it as such." Deputy Nationals Leader Bridget McKenzie also urged police in each jurisdiction affected to catch the strawberry saboteurs. "I just think it's absolutely disgusting that somebody in our community thinks this is a good idea to actually put needles in our fabulously clean and green produce," Ms McKenzie told reporters. "It will be stopping mums and dads from purchasing strawberries." Mr Joyce pleaded for supermarket chains to continue to stock strawberries as an act of defiance. "We can show our support for the industries by buying strawberries," he said. "If we just take them off the shelves, we are saying to this person, 'you succeeded - your criminal act succeeded'." 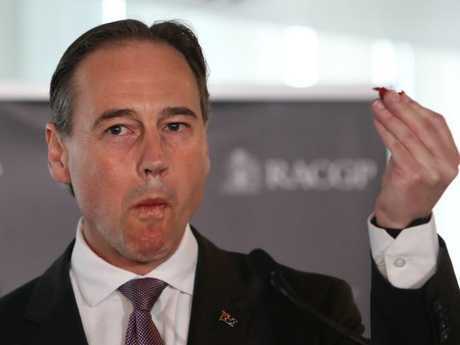 Australia's Health Minister Greg Hunt made a point of eating a strawberry at a public event this morning to show support for Australian farmers as the contamination scare worsens. "This is a very simple message that all of us can do. Support our farmers, support your health - eat a chopped Australian strawberry," he told the crowd. The federal government is putting $1 million towards helping fast-track recalls and increase detection of sabotage.